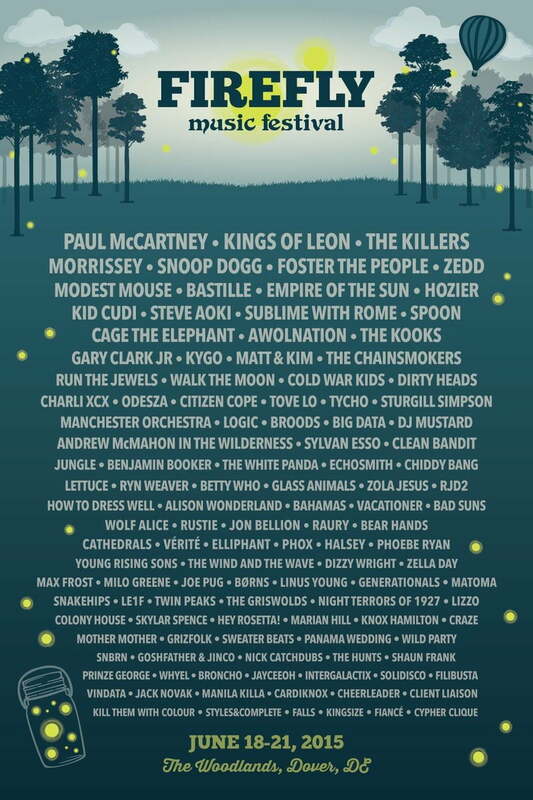 This weekend marks the beginning of the Firefly Music Festival 2015 and we will be there to bring you details about everything from music to fashion. Firefly recently announced that the weekend is sold out and they are expecting 90,000 attendees for this year's festival. With a lineup featuring a variety of performers from Modest Mouse, Snoop Dogg, Kings of Leon, Hozier, Zedd, Paul McCartney, and many others; this weekend has something for everyone. The event's planners took a huge risk when they announced this year's Firefly Music Festival would not be offering single day admission passes and many wondered if attendees would be willing to pay for the four day pass. Clearly, that gamble paid off. Though festivals are not new to the world of music, recent years have seen a larger cultural impact from these events, particularly in the world of fashion. Firefly developers have cultivated the festival experience to provide a wide variety of attractions for attendees. In addition to music, people will be able to experience a Beercade, Brewery, Hammock Hangout, and many other entertainment spots. If you missed your chance to purchase tickets from the official site; there was still hope. 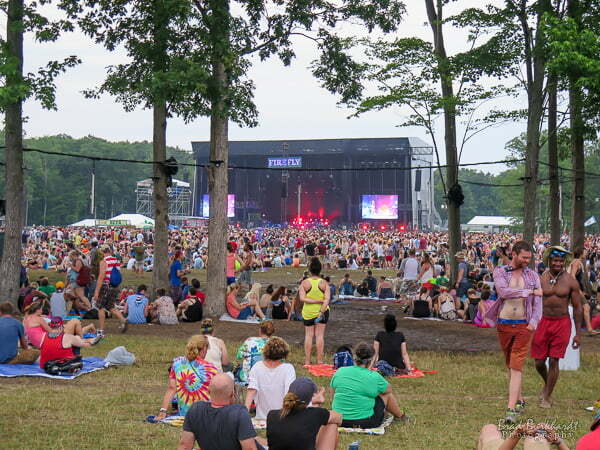 Firefly Music Festival announced the addition of StubHub, as an exclusive festival partner. As the Official Fan-to-Fan Ticket Marketplace of Firefly Music Festival, StubHub is the official secondary marketplace to purchase four-day passes. Firefly organizers will direct fans who are looking to purchase from now until the festival to StubHub’s website. The StubHub Music Experience will sponsor intimate performances at The Coffee House, and they will showcase StubHub’s newest mobile apps: StubHub on Android and iOS and StubHub Music for iOS. Fans can use these apps to engage with exclusive festival content, win prizes, and more. 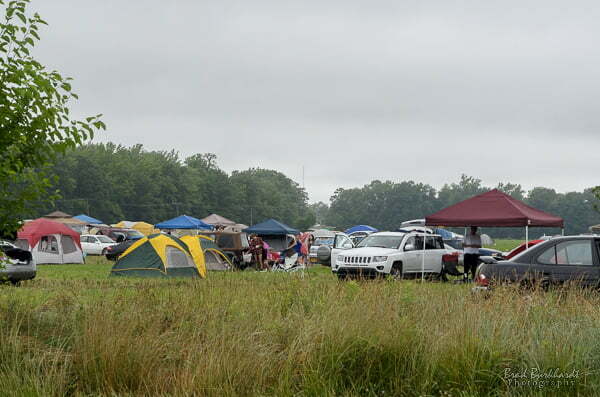 Thanks to an overnight rainstorm, the event kicked off with soft ground and high spirits. Many attendees arrived on Wednesday so they could spend the day relaxing before kickoff Thursday evening. 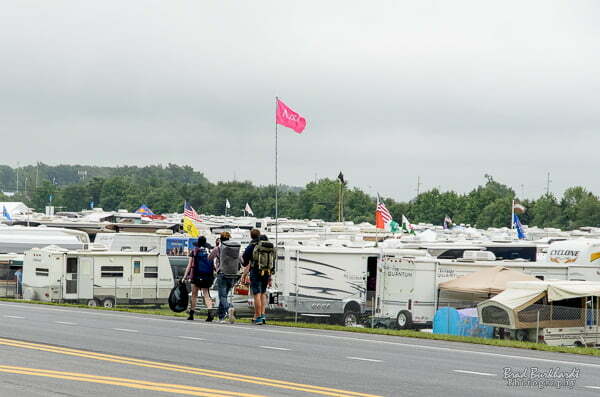 All levels of camping were visible, from pop ups to RVs, and excited fans were seen carrying rolled sleeping bags and colorful blankets between the camp grounds and the main gate. Festival planners coordinated shuttle services to transport visitors between various areas of the event. With grey skies and occassional rain bursts; ponchos and rain boots were a common sight. Others simply ignored the weather in their overwhelming excitement to start the show. 3 members of the Festworks staff wait to enter the grounds. These ladies explained that Festworks employees work the event in exchange for discounted passes. Friday's schedule was packed with many favorites, leading to constant motion through The Woodlands as attendees migrated between stages to see their favorite acts. The idea of 90,000 people in one area sounds like a nightmare, but due to the venue's sprawling nature and constant rotation of performers, people were able to spread out, catch their favorite shows, and not find themselves on top of one another. 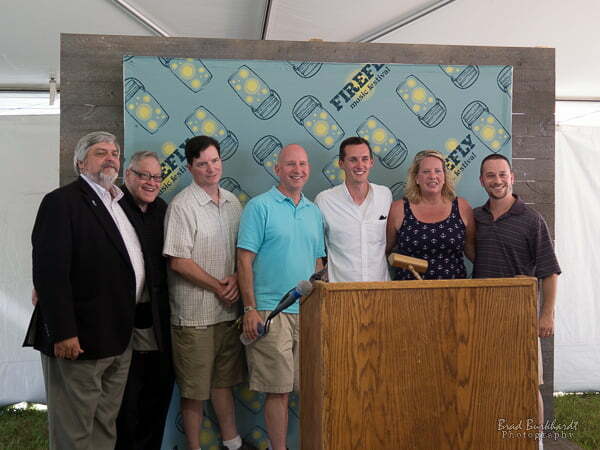 At Friday's press conference, festival planners and Deleware's governor Jack Markell addressed the media about the impact the festival has had on the state. On Twitter, the hashtag #Delewhere? was jokingly shared by festival attendees acknowledging the small state's suprising beginning as a festival destination. This year, attendees represented every state in the US and over 20 countries, showing the partnership with Golden Voice has truly paid off for this growing music destination. Festival director Greg Bostrom made it clear, the plan is to make this event a "cultural institution". In addition to the economic impact for the state of Deleware, he takes great pride in the funds the festival has raised to support St. Jude Children's hosptial (this year's total contributions topped $100,000). From the variety of attendees we saw, their mission is well under way. 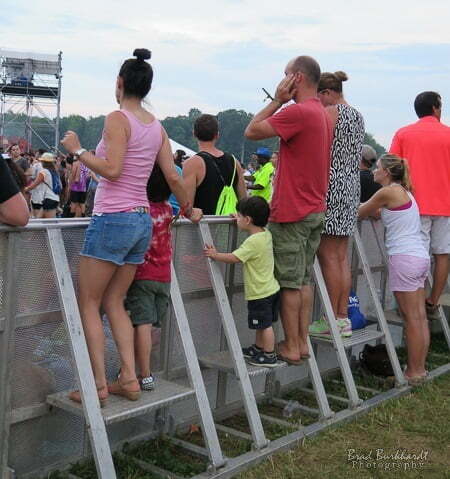 In addition to the faces normally shown in festival images, we saw entire families enjoying music and side venues together. I have been coming to Firefly every year since it started. Each year it gets bigger and I keep thinking "This will be the last year for me." I am just not that into crowds. But then they will announce someone huge like Paul McCartney and I can't stay away. I mean, to see these huge acts, right here in my town, that's just something you have to get on board with. And I know it has been great for the city. This will probably be my last year...until they announce next year's lineup. 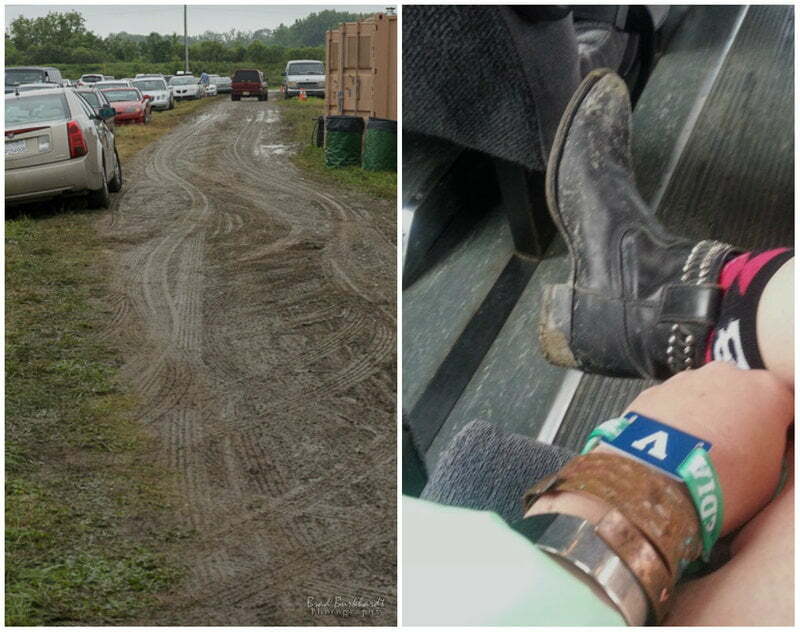 And so far, the performances have been well worth a little mud and walking. 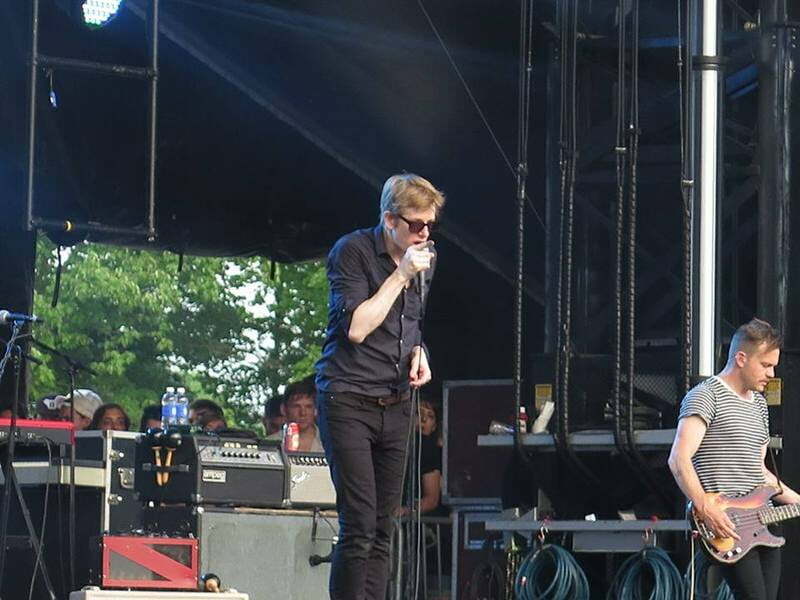 Live music is always a treat for fans and some performers use these shows to reach out to the crowd on a personal level that only enforces their bond with the audience and brings a new level of respect for the artists. 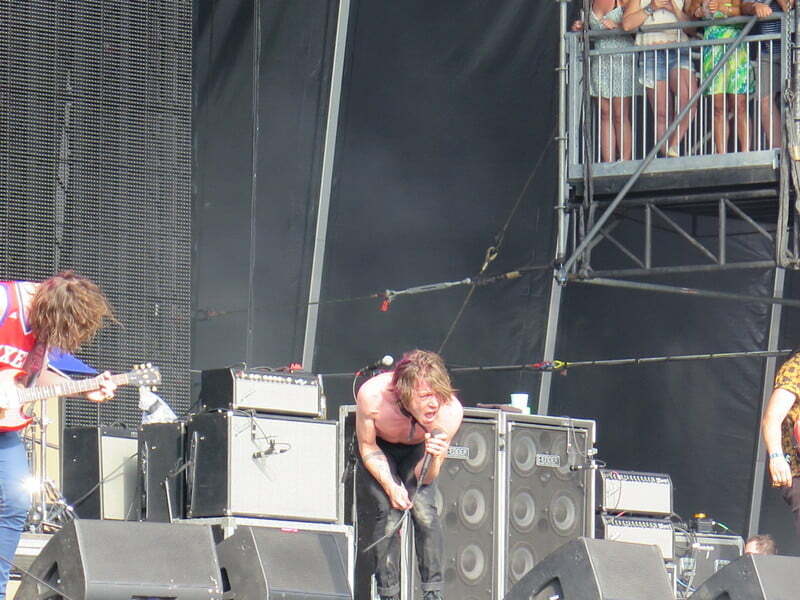 Cage The Elephant won hearts when lead singer Matt Schultz surfed out into the crowd before returning to the stage and showing that even famous bands are still fans like everyone else, when he led the crowd in a round of the Happy Birthday song for Paul McCartney (who turned 73 Thursday). Due to the wide variety of genres represented, it is normally hard to say which performance is a favorite at these types of events. 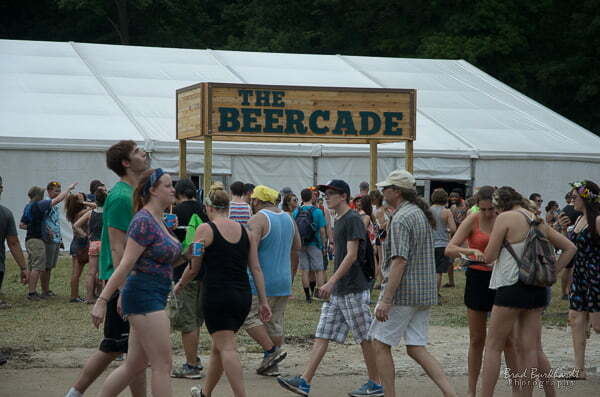 That was not the case on Day 2 of Firefly. 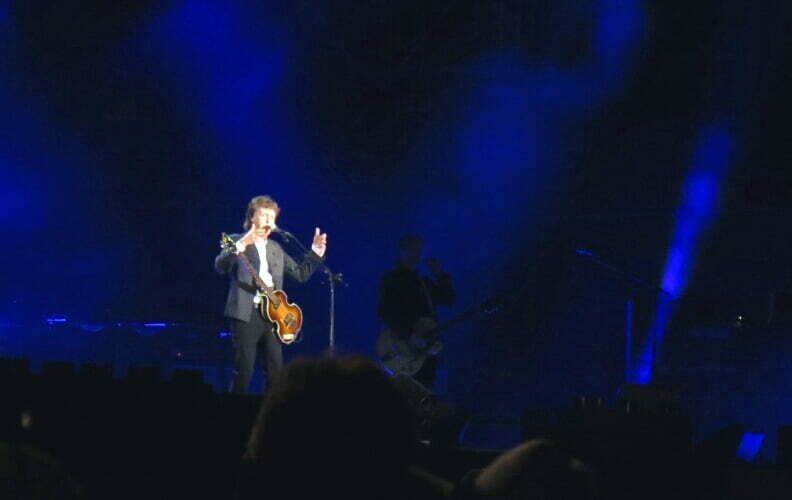 When Paul McCartney took the stage, all eyes were on him and the air was filled with thousands of voices joining his to sing the classic Beatles favorites everyone knows and loves. The rock legend maintained a high level of energy and joy through his entire set and admirably took a moment to pay homage to the victims who lost their lives earlier in the week when a gunman in Charleston, SC opened fire in a church. "Let's take a moment to pray for peace and harmony amongst people of different colors in the world,"
Firefly's tone changed significantly for Saturday. 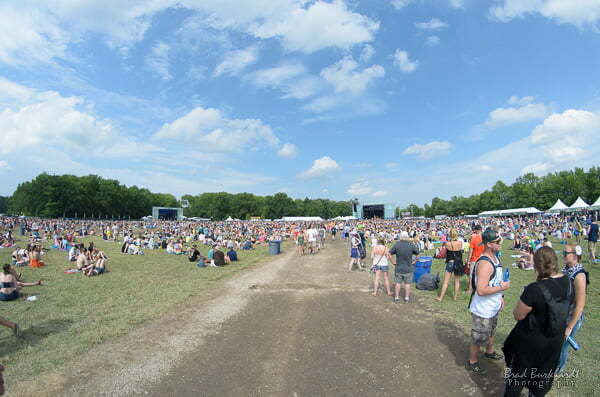 After the energetic kickoff on Friday, many people were ready to relax and stake a claim at one stage to catch their favorite acts of the day. Either due to post party suffering, the weather forecast (we will get to that in a moment), or people bailing because they felt they already had enough music for the investment; Saturday's crowd was thinner, allowing fans better mobility and views to the stage of their choice. That vibe began to change as the crowd and concert organizers began to realize that the remnants of Tropical Storm Bill was headed straight for the festival. 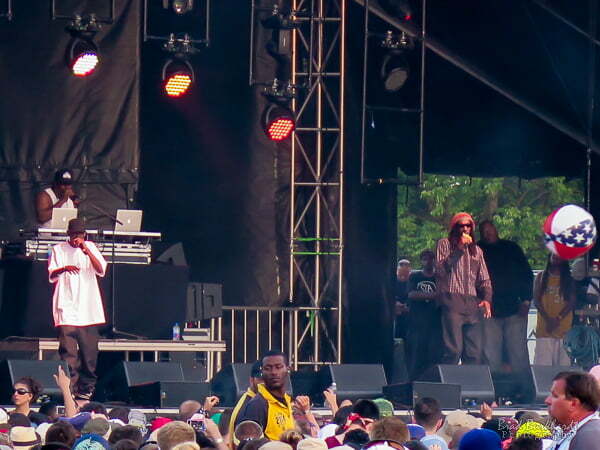 Initially, planners attempted a schedule modification to make sure all of the acts would be seen. 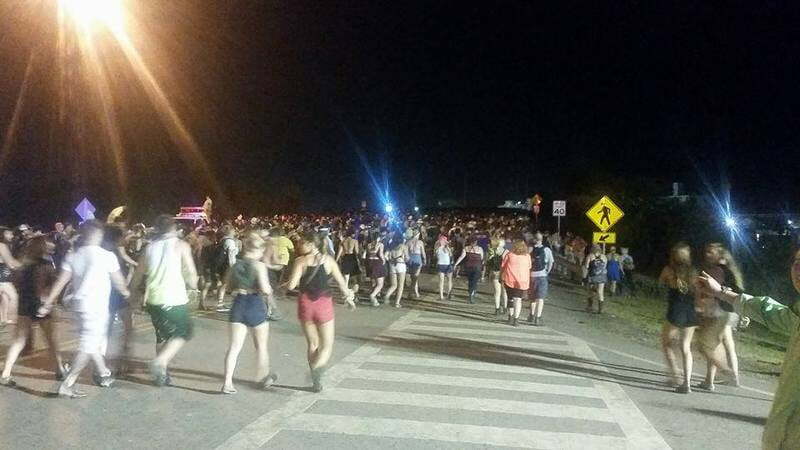 Unfortunately, 10 minutes before Kings of Leon were set to close out the main-stage, the festival grounds had to be evacuated. 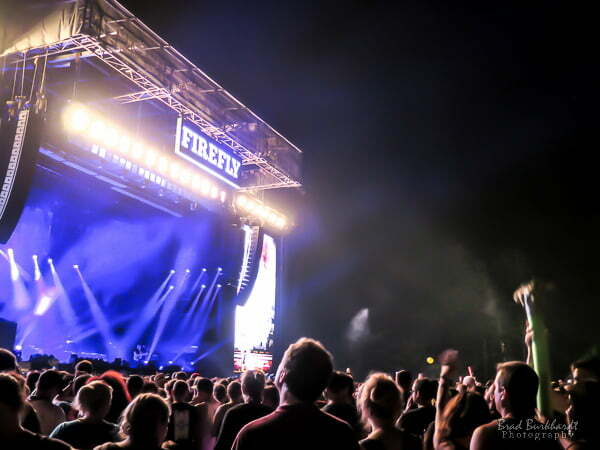 The event planners sent out a notice via the Firefly app and made announcements from the stages scattered through The Woodlands that fans were to proceed calmly to the nearest exit and seek shelter outside of the festival grounds. Thankfully, that is exactly what happened. Though there were a few grumblings about missed shows, most of the fans made the best of the situation by singing their own songs on the way to the exit. As lightning began to illuminate the sky, voices could be heard singing everything from Lil John to Neil Diamond. The last day of the long weekend was hot and steamy following the previous night's weather. 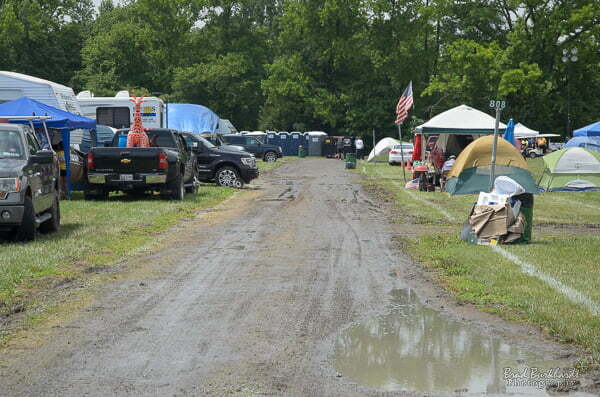 We spoke to one camper about how the campgrounds handled the storm. You know, a lot of us aren't really campers. We can put up a tent and hang out in it but we (indicating herself and her friend) were not ready for a storm. But it was fine! Everyone is so helpful! We have had the same neighbors for days. Everyone just came together and helped secure stuff and then we just waited it out. Festival organizers were determined to prevent the weather from adding any new issues for the festival. As temperatures climbed through the day, staff was on hand to pass out fans and ice through crowds of hot fans. 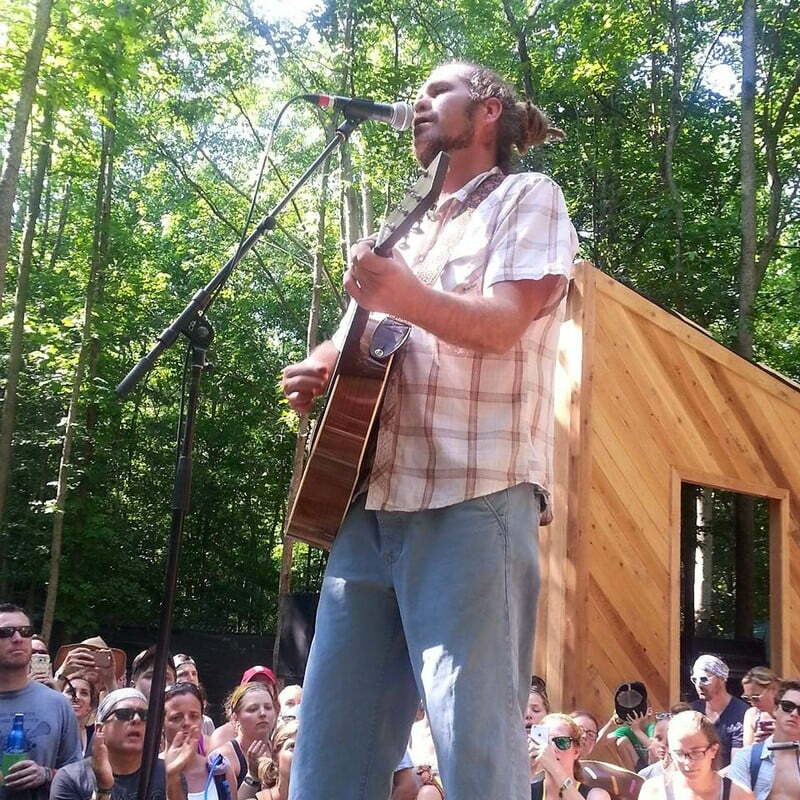 We were able to catch a reprieve from the heat under the canopy of the trees that provided the surrounded the stage during Citizen Cope's Treehouse Session. With a max capacity of 250, organizers say this private viewing area will continue to be an area for intimate viewing in future years. 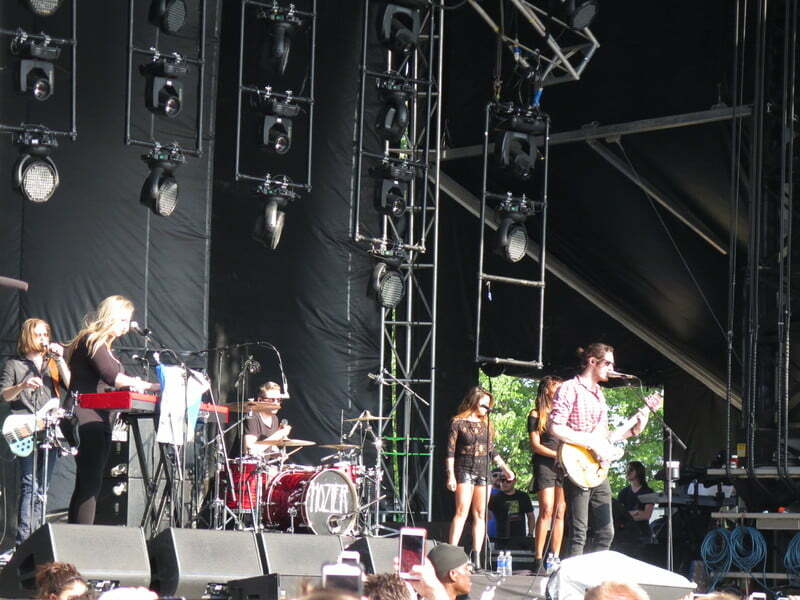 Hozier packed the area in front of the Lawn Stage before everyone migrated back to hear Bastille, where they were treated to new material from the band's upcoming album. And in a state that has decriminalized the use of marijuana, one performer was certain to elevate the crowd to full party mode once again. 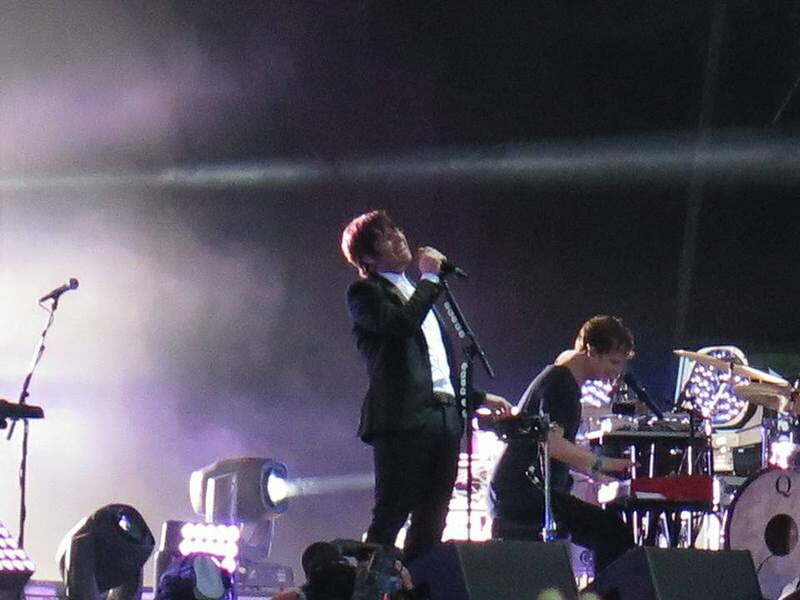 Though The Killers were a bit late taking the stage, they bestowed an olive branch to the audience by covering Kings of Leon (who did not reschedule their rained out performance). Check back later this week for our review of this year's festival fashion and leave your feedback in the comments below! Find out what you need for festival season.